A social media network is defined as any web application, site, or account created and maintained by the Robert J. Kleberg Public Library (KPL) which facilitates an environment for library staff and library users to share opinions and information about library related materials and activities. 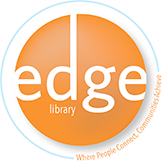 The goal of the Robert J. Kleberg Public Library social pages is to use social networking tools to connect with and inform current or potential patrons of services and resources available through the Library. These social networking sites will be used to market events, programs, and Library resources. 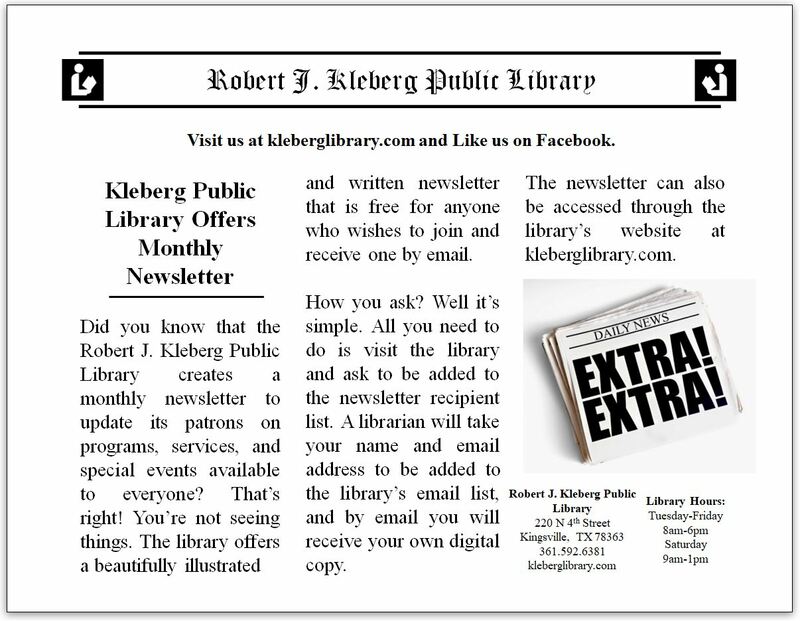 The Robert J. Kleberg Public Library currently maintains social pages on Facebook, Instagram, Twitter, and Youtube. --- The library also participates in Geocaching, an outdoor recreational activity, in which participants use a Global Positioning System (GPS) receiver or mobile device and other navigational techniques to hide and seek containers, called "geocaches" or "caches", at specific locations marked by coordinates all over the world. 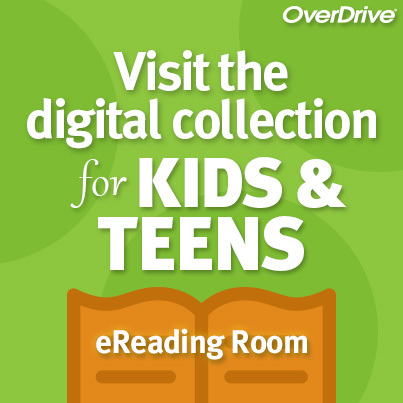 An original post is content written by a KPL fan or staff member on any KPL social page. A comment is a response by a fan to an original post. All fans can add posts or comments, but all content will be moderated by the KPL staff. By posting content, the user agrees to indemnify the Robert J. Kleberg Public Library (KPL) and its officers and employees from and against all liabilities, judgments, damages and costs (including attorney's fees) incurred by any of them which arise out of or are related to the posted content. Forums and messaging may not be used for commercial purposes or for organized political activity. KPL reserves the right to monitor content before it is posted on all of its social software web sites and accounts, and to modify or remove any messages or postings that it deems, in its sole discretion, to be abusive, defamatory, in violation of copyright, trademark right or other intellectual property right of any third party, or otherwise inappropriate for the service. KPL also reserves the right to edit or modify any submissions in response to requests for feedback or other commentary. Notwithstanding the foregoing, KPL is not obligated to take any such actions, and will not be responsible or liable for content posted by any subscriber in any forum, message board, or other area within the service. After a warning for inappropriate comments or posts, Robert J. Kleberg Public Library reserves the right to permanently block a fan from any KPL Social Media Networking Site.